As I am currently immersed in Steve Jobs‘ biography, this is the perfect topic to start this blog! Have you ever wished to do ‘apple Z’ in your everyday life? Now it’s (almost) possible, in your iPlate. 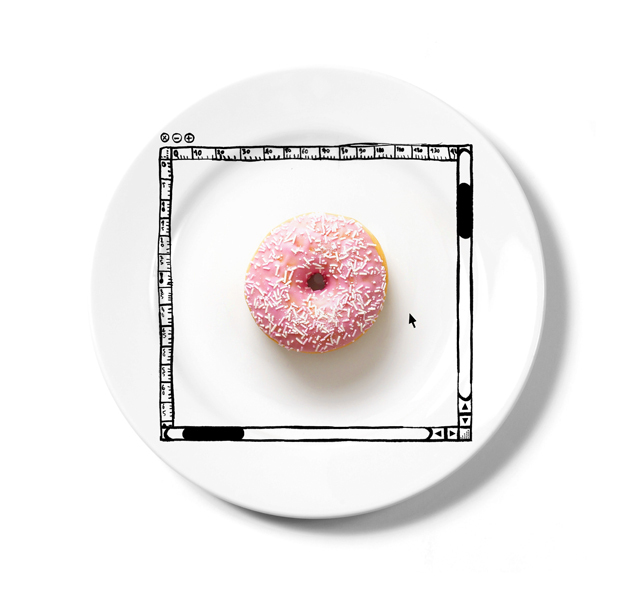 The French illustrator Todd Borka got inspired by his beloved Photoshop tools to create this series of 4 plates, with the well suited names of « Import Food », « Edit Food », « Image Size » and « Ctrl Z ».